The Bulgarian government of the GERB party formally confirmed Wednesday that Foreign Minister Rumiana Jeleva will be the country’s new EU Commissioner. 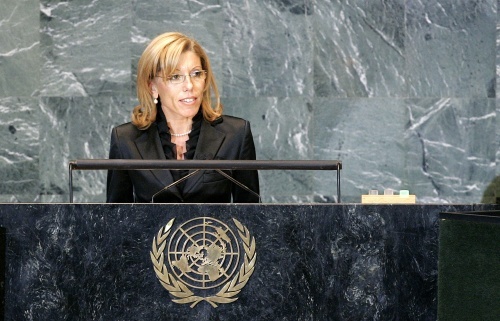 Jeleva was nominated at the beginning of the October 2009 by Bulgaria’s Prime Minister, Boyko Borisov, as Bulgaria’s new EU Commissioner after he refused to nominate for the second term Meglena Kuneva, EU Commissioner for consumer protection since 2007. In October, Borisov announced Bulgaria was trying to get one of the four EU Commissioner sectors: energy, regional development, enlargement, or infrastructure. On Wednesday, Bulgaria’s Deputy Foreign Minister in charge of EU affairs, Krasimir Kostov, said the question of what sector Jeleva would head at the EU Commission was not on the table as it would be decided by the reelected EC President Jose Manuel Barroso. The members of the new European Commission and their respective sectors will be become after the coming into force of the Lisbon Treaty on December 1, 2009.